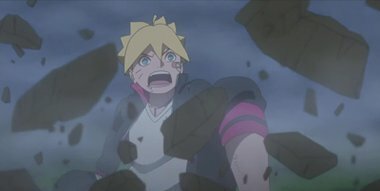 Boruto urges his friend Kagura to return with him, but Kagura rejects him and begins to attack. Although Boruto is desperate to save him, Kagura once again falls under a spell and is unable to defy Shizuma. Then someone steps in between the two as they battle. It's Mitsuki, and he has obtained intel about the rebellion. Just what is the intel, and can Boruto save his friend?